• Mike's signature soaps, a proprietary blend of eight solutions that are safe for your vehicle, and the environment too. • 16 touchless, hot-air dryers that safely dry your vehicle and prevent spotting. 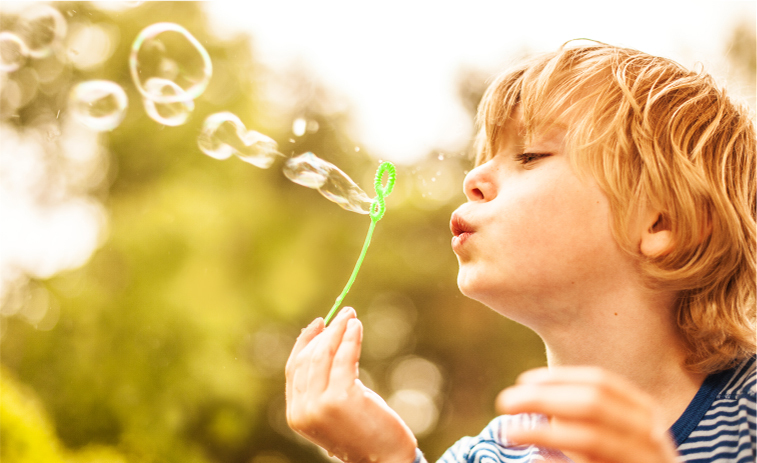 • A state of the art water reclamation system that results in us using 70% less water per wash than if you washed at home with your garden hose. • Mike's GUARANTEE that if you're not satisfied, we'll re-wash your vehicle that same day for FREE. To celebrate our "BowTie Heritage," every Tuesday is BowTie Tuesday at all Mike's locations. 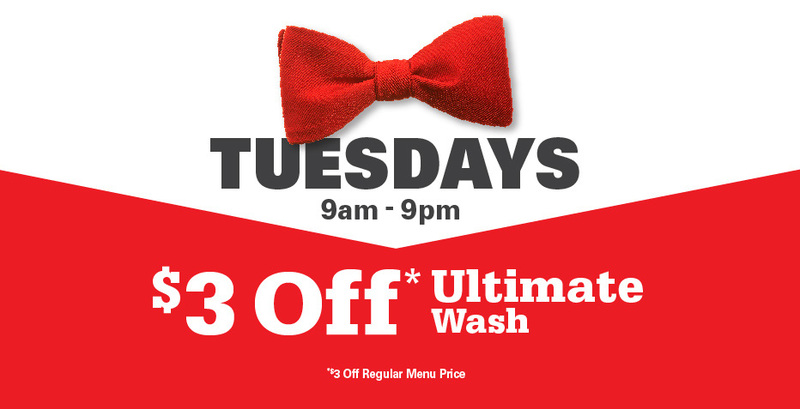 Enjoy $3 off our Ultimate Wash from 9 AM-9 PM, every Tuesday all season long. 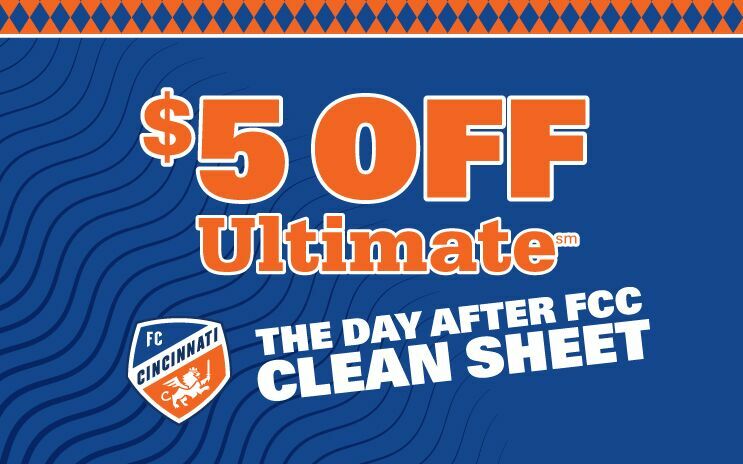 After FC Cincinnati achieves a "Clean Sheet" (shutout of their opponent) during the 2019 season, purchase a Mike's Ultimate Wash for just $15 the following day. That's a savings of $5! Join us as we support FC Cincinnati in their first MLS season! After the Cincinnati Reds win on any Tuesday during the 2019 season, purchase a Mike's Ultimate Wash for just $15 on the following Wednesday. That's a $5 savings! Mike's will also donate $1 to the Reds Community Fund for every Ultimate Wash purchased on the Wednesday after a Tuesday Reds win. The Reds Community Fund has been connecting underserved kids to baseball and softball since 2001. Pick your sport. And your book. 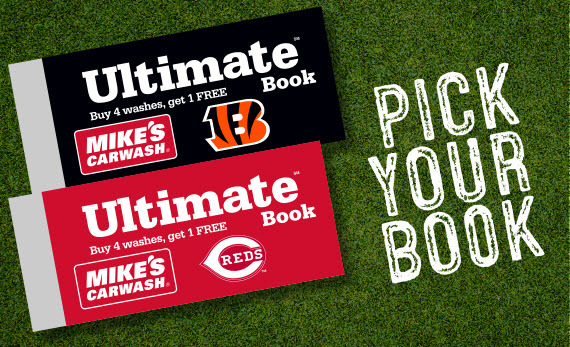 Mike's Carwash now offers Bengals and Reds Ultimate Wash Books! Both books are available online only. Plus, when you buy an Ultimate Book, you get one wash FREE!